In praise of the ‘mutt’. Welcome to Territorio de Zaguates, or “Land of the Strays”. 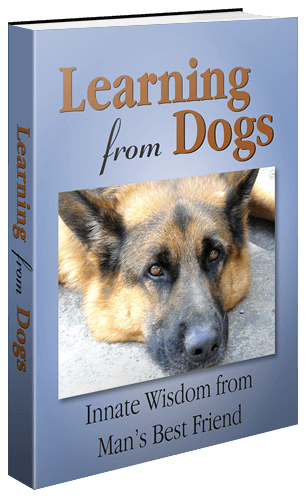 When it comes to loving stray dogs I thought that the friends of John Zande and his wife were showing the rest of the world how to do it. 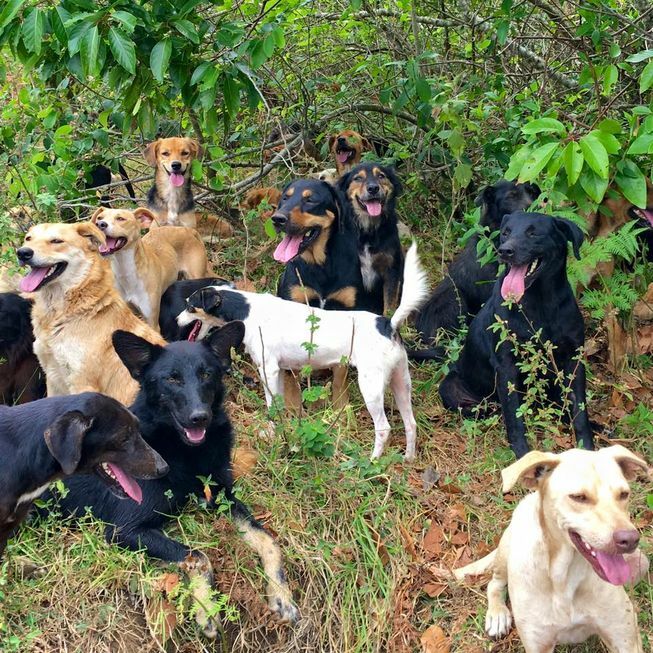 For it is my understanding that Sandra and her partner down in Brazil are providing a home for around 300 ex-rescue dogs. Then I came across this recent item over on Mother Nature News about 700 rescued ‘mutts’ living in a doggie paradise. 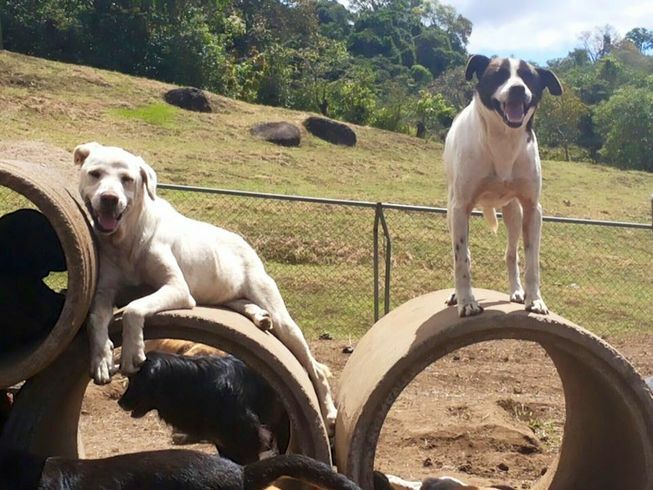 Welcome to Territorio de Zaguates, or “Land of the Strays,” an amazing, privately funded, volunteer-run animal sanctuary in Costa Rica where no mutt is turned away. 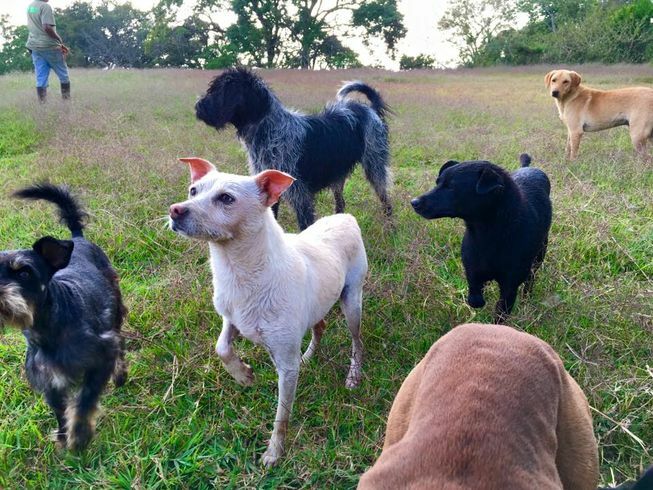 Located less than an hour outside the bustling capital city of San José, this doggie safe haven is home to hundreds of abandoned canines that have been given a second chance at life. This is no ordinary animal sanctuary, though. After all, when you live in a place as beautiful as Costa Rica, you take advantage of what the landscape provides. That’s why volunteers lead the ragtag pack of rescued mutts on scenic hikes through the gorgeous mountains nearly every day. It’s a sight to behold. 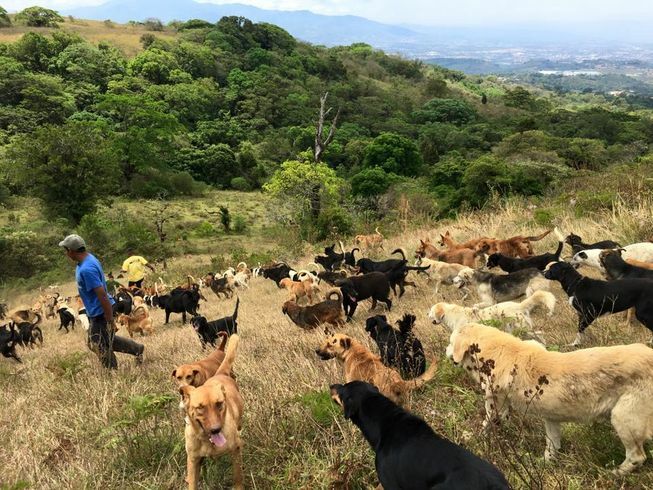 Aside from the free-range mountain hikes with breathtaking scenery, Territorio de Zaguates functions just like any other animal rescue or sanctuary. 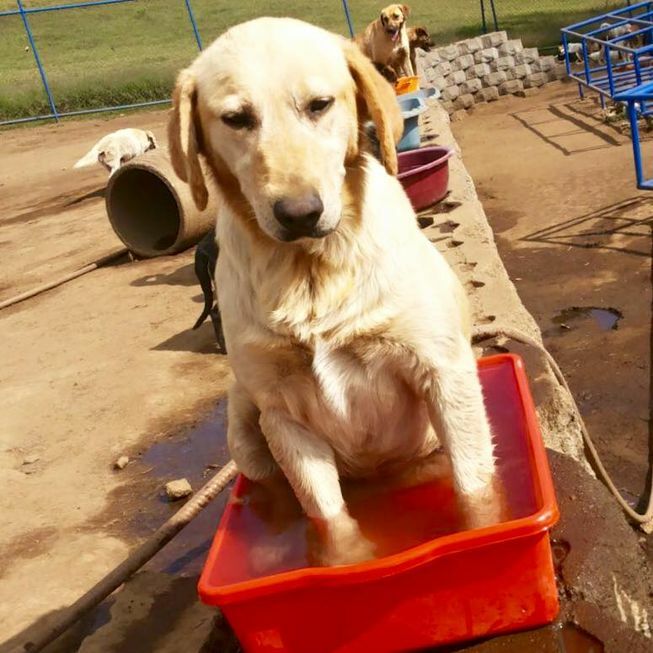 Once this initial processing is completed, the new dog is released into the general population, where it can either be adopted by a loving human or spend the rest of its days frolicking in what is essentially a doggy paradise. 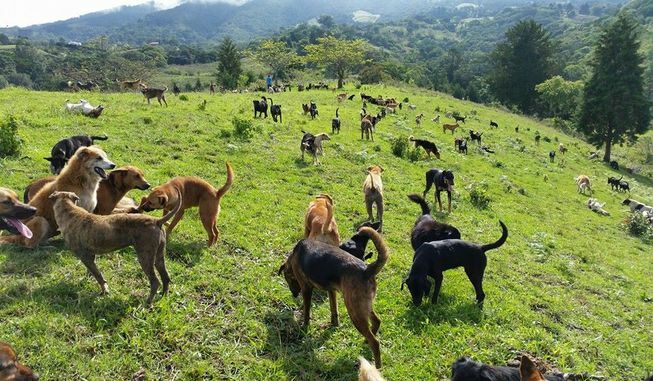 What makes Territorio de Zaguates even more special is the creative approach to finding the dogs forever homes. Caso: Territorio de Zaguates from GARNIER BBDO on Vimeo. As any animal rescuer will know, maintaining such an massive sanctuary requires an enormous amount of time, money and labor. But thanks to a host of charitable donors and an eager base of volunteers, the sanctuary is a great success. 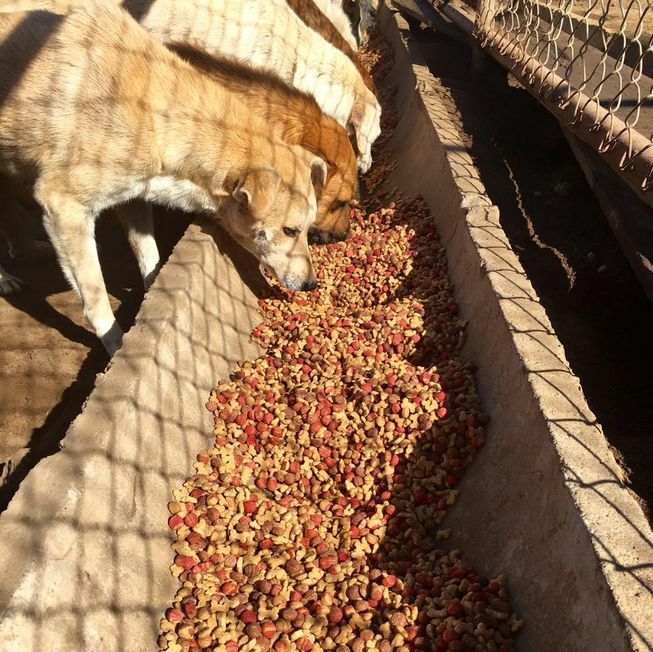 “We have a very small staff but still we manage to do everything from daily picking up the poo and disposing of it properly, to feeding and medicating the dogs, and everything in between,” a spokesperson for the organization writes. 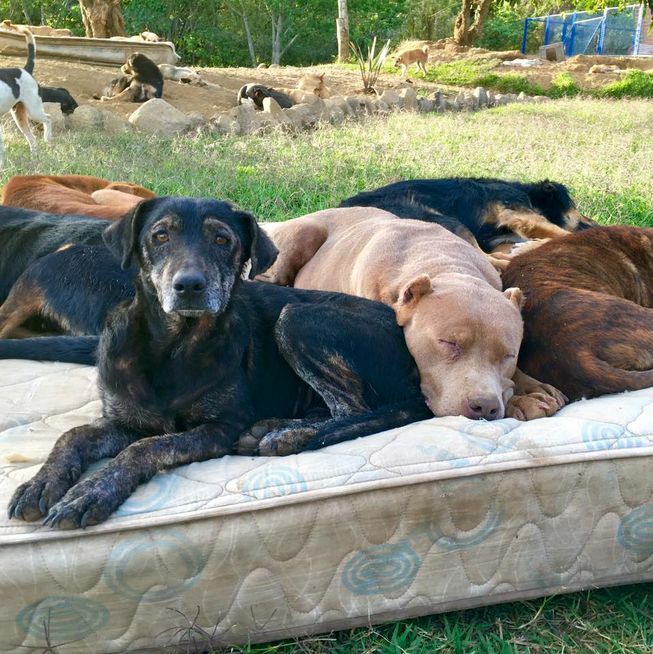 Mattresses provide natural lounge spots for the dogs throughout the day. 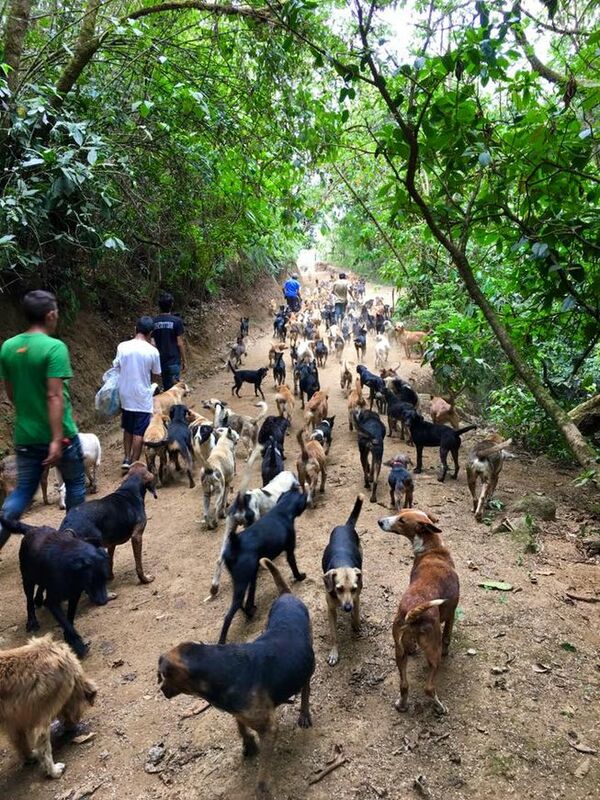 Lunch time at Territorio de Zaguates means serious business, which is why kibble donations are so important! 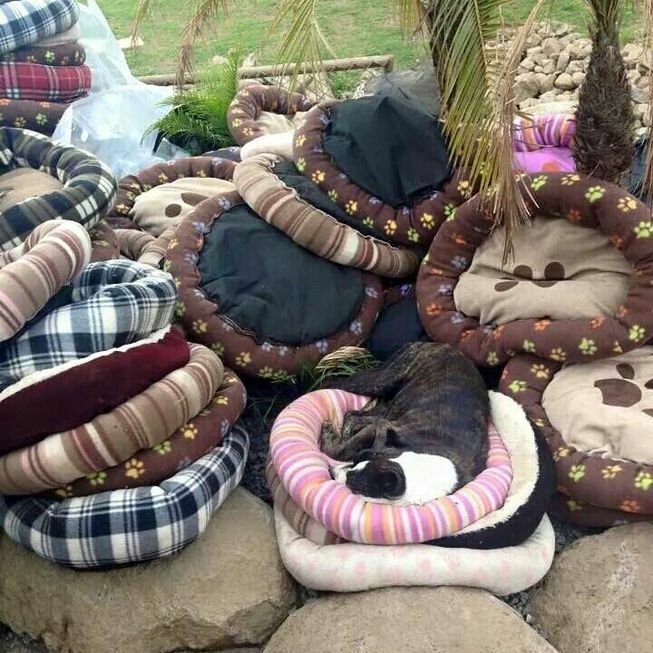 In addition to food, comfy dog beds are also a much welcomed donation item for the sanctuary! 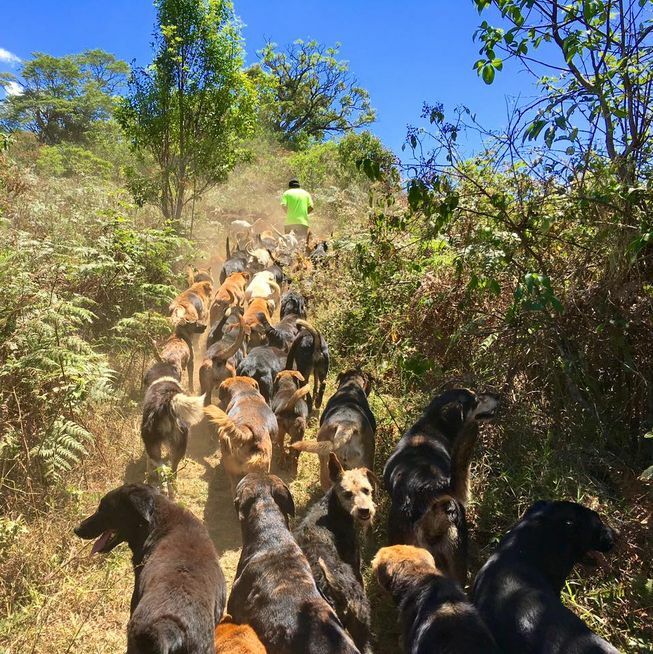 A sanctuary volunteer leads the pack downhill during a scenic hike through the mountains. 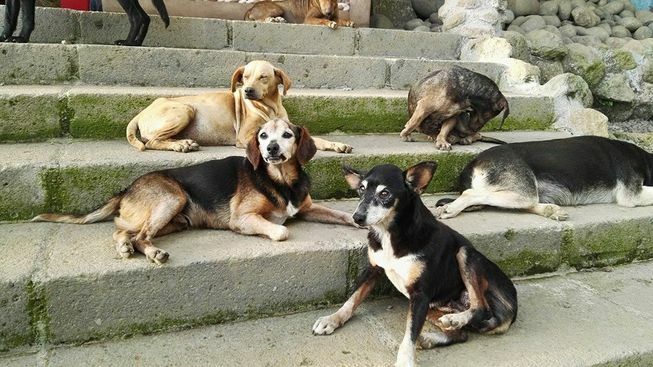 A few of the sanctuary’s senior residents rest on the steps of the facility. Even if the pups aren’t adopted out, they’ll always be guaranteed a luxurious forever home at the sanctuary. Well it certainly puts our ten dogs in the shade! In doing a trawl through YouTube I came across this video that I will use to close off today’s post. Chances are that, as with me, you won’t understand the voice-over but it won’t diminish your pleasure at looking at these dogs. 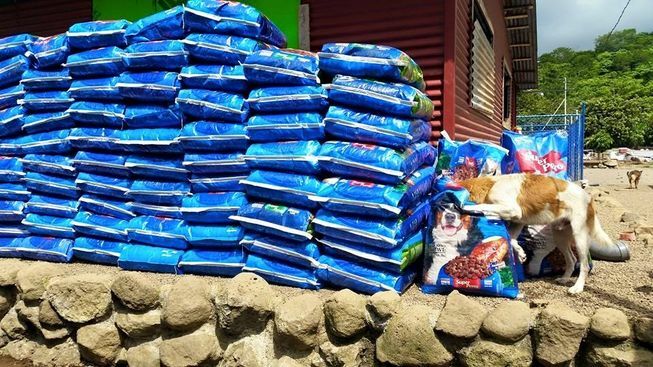 “Territorio de Zaguates” ubicado en las hermosas montañas de Costa Rica, es un albergue de animales donde se le da casa, comida, atención veterinaria, ejercicio, esparcimiento y cariño a 700 perros callejeros víctimas del maltrato, el abuso, el abandono y la negligencia humana. 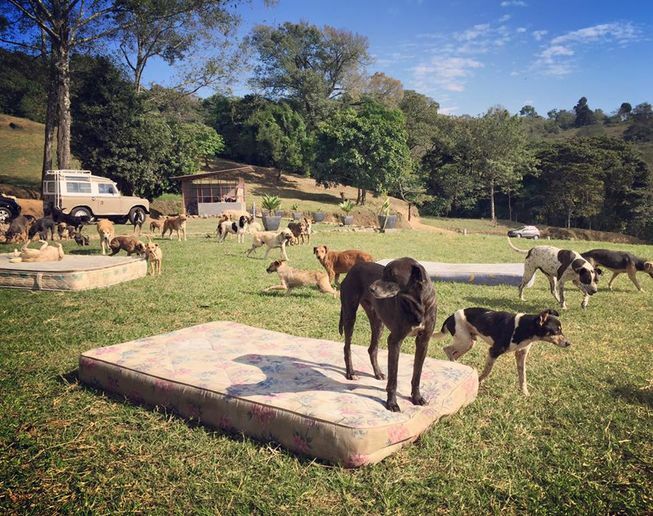 –ENGLISH– “Territorio de Zaguates” is a No-kill-shelter in the beautiful mountains of Costa Rica that provides home, food, vet care, exercise, recreation and affection to over 700 stray dogs, victims of neglect, abandonment and abuse. The resounding message behind this strategy is that when you adopt a mutt, you’re adopting a unique breed. That is so true! Each and every dog, especially an ex-rescue dog, is a unique breed.